← Can US / EU Cyber Security plans protect cyber citizens? Are we in the Social Era or witnessing the emergence of Social Capitalism? Nilofer Merchant, strategist and author of “11 Rules for Creating Value in the Social Era,” explains the big paradigm shift that’s changing the way we do business. Anyone can be a game changer by using the power of their ideas. They need not first be vetted or chosen to be powerful. These largely unheard voices are essential for solving new problems, as well as for finding new solutions to old problems. Without celebrating what anyone – quite possibly everyone can offer, people are simply cogs in a machine – dispensable and undervalued. By celebrating each person and the value they can create, economic power is unlocked. And it’s not that everyone will, but that anyone can. (See earlier talks and posts on this idea). Here’s my recommendation…. Unless you’re talking about marketing specifically, don’t use the term “Social Media.” If you are discussing ways social tools can be applied to all parts of a value chain, Social Business is probably the term you are looking for. 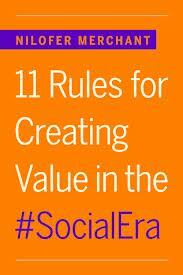 And, if you describing a reconstitution of work and institutions, then use Social Era”. Most organizations operating today started when companies needed more operating capital. Being big was in itself a mark of success. And in fact, being big created a natural barrier to entry for competitors. The “big” mindset continues to form an organizational framework for many institutions. Take banking as a visible example. Bank of America recently considered a $5 fee for customers to get their own money via their debit card because they have to find a way to fund all those retail storefronts. But if they were launching today, banks would likely ask themselves how to accomplish the transactions (deposits, withdrawals, financial management) of banking without the physical commitment of banks. They might try what ING is doing with its café model. They might even reimagine what it is to lend money. Instead of competing with new startups like Lending Club or ProFounder, they might be the ones reinventing the space. Many organizations still operate by Porter’s Value Chain model, where Z follows Y, which follows X. These linear models optimized efficient delivery of a known thing. But this doesn’t help us when faster, fluid responses are what we need. Fifteen years ago, The Cluetrain Manifesto taught us that markets are conversations and that was a great starting point. But “conversations” can actually go deeper if you allow them to become central to how you work, rather than leave them on the perimeter of the work. How many companies have figured out how to shift from supply chain management to integrating customer feedback directly into their product design, distribution, and delivery? Because that’s the point. When companies think of social media, they hope to get consumers to “like” them or “fan” them, as if that increased connection is meaningful. Again, that captures the marketing aspect but misses the strategic point. The social object that unites people isn’t a company or a product; the social object that most unites people is a shared value or purpose. When consumers “love” Apple, they are saying they love great design and the shared idea that “thinking differently” is valuable. By “loving” Firefox, the web community is saying that they believe an open web browser is valuable to the world. By loving TEDx, a volunteer army of people are saying they believe that smart ideas that get people to think more about their world is a cause worth putting energy into”. Businesses will move away from the hierarchical command-and-control model to a more democratic and meritocratic model. Employees will be judged (and granted decision rights) on the basis of their impact on and value to the community, rather than on job title, age or social background. Businesses will adopt a more open approach to decision making, allowing anyone in the organization, and also people outside the organization, to have input into the decision-making process. Goals and objectives will be set by socializing strategic aims with employees, shareholders and communities of interest. Social and mobile technologies will be used to build and manage two-way relationships between businesses and all their communities of interest. This use of technology will go way beyond the one-way, outward-looking, limited use of social media today. It really will bring the 99 percent inside the walls of the enterprise to become part of the organization. Gartner calls these businesses “social capitalists.” Not every enterprise can follow a social capitalist model, but those that can will be the most admired companies in the next 10 years. Business and IT leaders must understand the impact of these changes on their industries and organizations, and ensure that their business and IT plans have the appropriate focus on social media technologies. They should also identify whether management practices need to change to make the best use of these investments. A key aspect of capitalism going social will be the use of social and mobile technologies by business to change the way it interacts with the 99 percent, bringing them inside the four walls of the enterprise to become part of the organization’s processes, rather than keeping it at arm’s length. Social technologies are also central to improving employee engagement and rebuilding employee trust, but only if they are deployed with the intention of enhancing open communication and employee participation in decision making. This approach is based on the premise that engaged, motivated and empowered employees will deliver better customer service and value. Nilofer Merchant states that to create value in the Social Era “organizations don’t operate like the powerful “800-pound gorillas” of yesteryear—but instead act more like a herd of 800 gazelles, moving together across a savannah, outrunning the competition”. “people started giving her monikers like “The Jane Bond of Innovation” because of her ability to guide companies through impossible odds”. 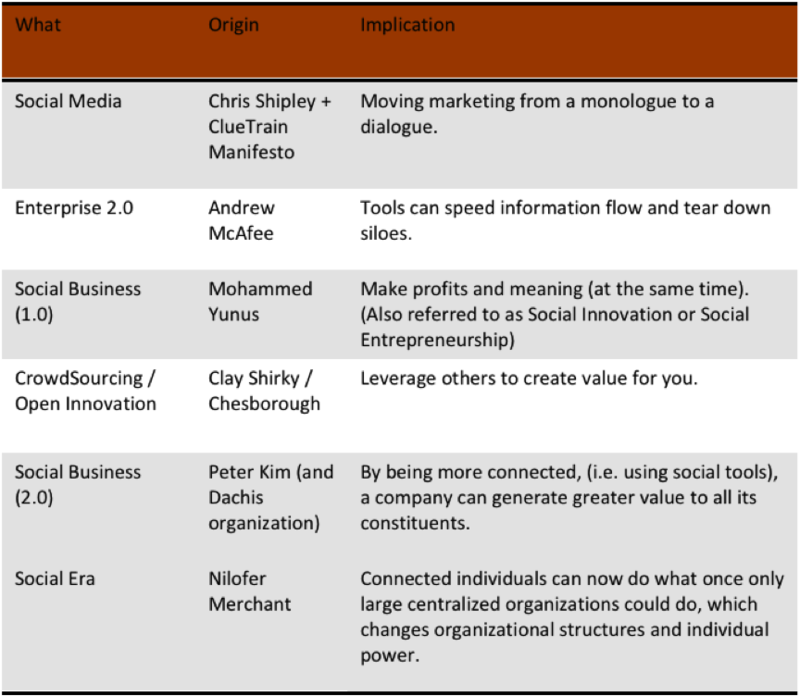 The Gartner “Maverick” Research findings state that capitalism going social is about flatter more open structures with genuine two-way dialogue. 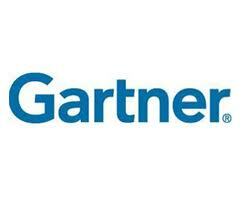 Although these are not breakthrough findings they do represent a positive step forward from normally conservative Gartner. “The way we set about creating wealth is undergoing a significant transition. Many leaders may not get it. Some might not know how to catch up. But it is happening. It lacks a resonant label and I don’t see social business having powerful resonance over time, not like the word capitalism”. Whether we tag the rethinking and reimagining of Business as the new Social Era or capitalism going social is not the strategic exam question it is about how structures are evolving to imitate nature and symbiotic relationships. Today it is not possible to envisage what half of the worlds population which is under 25 will build with options like crowd funding and micro financing to give 3rd World businesses a jump start. In closing I love this clip where Nilofer holds a closed fist and open palm to explain the Power of Open Ideas.